LATAM is the market leader in cargo and people transportation in Latin America. It has an extensive destination network, strategically linked by hubs offering the best connections. Ethical principles and corporate values guide the company’s decision making. The management process is focused on integrating business and sustainability strategies. Five strategic pillars - network leadership, leading brand and the best customer experience, cost competitiveness, organizational strength and risk management – guide the team towards the company’s future vision. To build a differentiated offer for customers, LATAM invests in the connectivity of its network of destinations, in new technologies, in communication platforms and in consolidating a culture based on attention and care. Environmental management is developed through LATAM Climate Change strategy, which encompasses measures to manage the operation's carbon footprint, eco-efficiency projects, the pursuit of alternative sustainable energies and the implementation of environmental standards. LATAM maintains an integrated focus on safety and all its ramifications in operations, infrastructure, people and emergency response, managing risk at every stage of the operation. Talent attraction and retention, training, performance and succession management strategies ensure alignment and high performance throughout the company. In 2015, a key focus was process simplification and the standardization of training for the entire group. LATAM contributes to the regions in which it operates with measures to promote economic development and to foster tourism, as well as through private social investment and humanitarian aid. The material topics in the 2015 LATAM Sustainability Report 2015 are managed with a view to integrating the economic, social and environmental dimensions of the business. The geographical outline of Latin America inspires the new LATAM brand, which conveys some of the company’s key attributes, such as commitment to efﬁciency, care for people and the strong identiﬁcation with the continent in which it is based. The change in the corporate image will take place gradually in a process lasting until 2018. All operational safety indicators improved in 2015. The company’s total injury rate dropped by 40.1%, with the decrease reaching 54% in some units. 2015 was the most challenging year in the history of LATAM and its affiliates airlines operate, local currencies depreciated; thus impacting our revenues and costs related to the import of goods and services. Moreover, we faced a huge economic and political crisis in Brazil, our largest market; which strongly impacted the civil aviation sector. The country faced the largest recession of its modern history; resulting in a contraction of GDP, increased unemployment and a fall in real wages. This has had a significant impact on the wealth of individuals and companies, with the troubles in the political environment affecting expectations, thus exacerbating the damage to the macroeconomic scenario. This highly challenging scenario in the largest market explains the 219 million dollars loss that LATAM reported in 2015, which could have been worse if it wasn’t mitigated by the strong performance of the Spanish speaking markets. It’s worth highlighting that LATAM met its operating margin forecast of 5%, with the most adverse impact on currency depreciation, mainly in Brazil. Notwithstanding the above, LATAM Airlines Group retained its leadership in the main markets in which we operate, such as Chile and Peru. In 2015 the seat capacity (ASKs) was reduced by 2.5% in Brazil’s domestic operation and renegotiated our aircraft deliveries, which resulted in the cancellation of nearly 40% of our fleet commitments through 2018 and an investment reduction of 2.9 billion dollars. We are aware of future challenges, and in 2016 we will continue to adapt TAM’s network with an important additional reduction of 8% to 10% in seat capacity in the Brazilian domestic market as well as downsizing the international market from Brazil, especially to the United States. Therefore, 2015 will be remembered as the year where LATAM demonstrated its ability to respond to challenging economic scenarios. I would like to highlight the ‘joint business agreements’ negotiated in 2015 between LATAM and IAG (controlling holding company of British Airways and Iberia) and American Airlines (AA), one of the leading airlines in the United States. Once approved by the corresponding authorities, we will have access to a broad network of connections in important hubs in the United States and Europe. With these agreements, we have the possibility to open a large network of destinations and offer further advantages to our customers, such as the unique ticket sales and improved travel experiences. This was only possible because of our unrivalled flight network and connections within South America. Finally, I wouldn’t like to end this message with announcing our new brand, LATAM Airlines. Since the beginning we knew that the best way to merge the different hispanic and Brazilian cultures would be through a new brand, a decision that we have arrived to after long discussions and breaking of paradigms, because a new brand has never been created from a merger or association of airlines in the history of aviation. It wasn’t an easy decision, because the replacement of powerful and historic brands such as LAN and TAM required courage. It was also a logical decision, because the merger will generate economies of scale in the long run with the process simplification in virtually every area. In 2016, our plan is to expand LATAM Group’s leading position in Latin America, flying to new destinations with our unique identity and the same strength to overcome problems and grow in a profitable way. The consolidation of LATAM as one of the leading airlines in Latin America in terms of quality and service has been a priority over the last few years. We believe that the only way to be successful is to offer a distinctive value proposal to our passengers. Being only a step away from a huge accomplishment – the launch of our new brand – we are still convinced that we have the right strategy to achieve our goal of positioning LATAM among the best airlines in the world. I would like to take this opportunity to inform you about all the work we’ve done over the last year. Introducing LATAM has meant change; changes that have opened a world of possibilities and allowed us to reestablish a new culture with the customer and place them at the center of every strategic plan. LATAM has not only brought together the best of LAN and TAM stories, but also it has amplified them on a large scale to deliver our clients much more than the sum of their parts. We have made these changes in a highly complex and challenging regional scenario, which encourages us to be efficient, take care of our cost structure and to prioritse our strategies. We have focused on initiatives that allow us to build a distinctive offer. We offer the best network of destinations, a state-of-the-art digital experience and a team that directs its efforts towards satisfying our customers; which will guarantee our future growth. In this vein, we continue working to enhance our flight network and connections within South America, thus offering our passengers an unparalleled connectivity in the region. LATAM Group will continue to focus on strengthening the main hubs, allowing us to reinforce the group’s connectivity in Latin America, North America, the Caribbean, Europe and now Africa. During 2015, we invested more than US$50 million in the implementation of digital advances that have allowed us to improve the passenger flight experience, offer better service before and after the flight and improve our how our employees work. Through this investment we look forward to creating a unique flight experience and a competitive advantage for LATAM Group. Some of the innovations that stood out during the year were: the implementation of a new onboard wireless entertainment system that enables passengers to watch movies, series and videos through their own mobile devices; as well as a new smartphone application, offering electronic boarding passes. Additionally, three thousand tablets were delivered to LATAM Group employees; to help improve our service quality, whether directly or indirectly. I also want to highlight our daily commitment to be a transparent and responsible airline group to our customers and investors and at the same time provides a valuable contribution to Latin America. For the second consecutive year, we were one of only two airline groups worldwide to be listed in the Dow Jones World Sustainability Index, placing us among a select group of companies for sustainability based on long-term economic, social and environmental criteria. We have worked with conviction and passion, giving our best to get to this stage. Along with thanking our shareholders, I would like to acknowledge over 50,000 people from different nationalities that work for LATAM Group, whose effort and dedication has been crucial for this unique and historic project. LATAM is a global operator and is preparing to compete in the major leagues of the airline business worldwide, therefore generating value for our shareholders, stakeholders and the society as a whole. A key differential is the airline group’s wide-ranging network of 150 destinations, connecting Latin America, the Caribbean, North America, Europe and Asia Paciﬁc. LATAM and its affiliates airlines also operate in the seven largest domestic markets (Argentina, Brazil, Chile, Colombia, Ecuador, Paraguay and Peru), accounting for half of the passenger trafﬁc within South America.  Based on a strategy of hubs in key airports, the company facilitates connections within the region and worldwide. Examples of this strategy are the airports in Guarulhos, São Paulo (Brazil), and Lima (Peru). The airline group’s connectivity is boosted by its participation in the oneworld global alliance, comprising 15 airlines that ﬂy to 150 countries. This alliance gives LATAM passengers access to 117 destinations in Latin America, 435 in North America, 395 in Europe and more than 800 in Asia, Africa and the Middle East. The group comprises the companies LAN Airlines and its affiliates in Peru, Argentina, Colombia and Ecuador, LAN Cargo and its affiliates, TAM and its TAM Linhas Aéreas subsidiaries, including the TAM Transportes Aéreos del Mercosur (TAM Airlines Paraguay) and the Multiplus business units. In the second half of 2015 LATAM announced its new brand, aimed at conveying some of the company’s key attributes visually, such as its commitment to efﬁciency, caring for people and strong identiﬁcation with Latin America. Inspired by the geographical outline of the continent, work on applying the new brand was initiated in 2016 in the airline group’s physical spaces, aircraft, commercial units and communication channels. The change in corporate image will be carried out gradually, with completion scheduled for 2018. Between the association of LAN and TAM and the launch of the single brand, three years were spent on research into stakeholders and scenario studies in ten countries representing strategic markets or activity bases. The process took the history airlines, the expertise developed over decades of activities and the synergies which justiﬁed the association into account. In 2015, LATAM progressed in the global alignment of parameters for goods and services acquisition and supplier management, consolidating its Procurement and Supply Chain Policy, which takes the group’s Code of Ethics and anti-corruption policy into account, in addition to speciﬁc regulatory requirements for the different countries in which the company operates. The document is the result of an extensive process undertaken during the year by the Procurement, Compliance and Legal areas. It sets forth the principles governing relations with suppliers, with particular focus on risk reduction, ethics, legal compliance and social and environmental criteria. In the course of the year, the procedures and framework agreements to be adopted by the company were also validated. These initiatives are part of LATAM’s effort to standardize its activities and were undertaken in parallel with the redeﬁnition of the corporate procurement structure. To streamline processes and drive efﬁciency, all the organization’s purchases were grouped in categories and responsibilities assigned to speciﬁc areas. Technical purchases directly related to the operation are divided into fuel; engineering services; consumables; part manufacturer approval (PMA), wheels, brakes, tires and avionics; in ﬂight entertainment (IFE); seats, trim & ﬁnish; sales and rotables; larger components, such as landing gear and others; pooled (repairs, exchanges and rental of certain components offered in a pool by suppliers) and non-pooled parts (such as tools and other types of components). There are another ten categories of non-technical purchases indirectly related to the operation: administration; airport; infrastructure; catering; hotels and uniforms; marketing; professional services and transportation. Specialization enhances monitoring and the pursuit of synergies through more in-depth knowledge of each sector in the supplier chain. The establishment of a global procurement and supply chain policy enabled LATAM to standardize the ﬁnancial, social and environmental criteria used to select and monitor suppliers and to enhance risk management throughout the chain. Partners are systematically submitted to monitoring based on a matrix which takes into account the most relevant risks for each supplier category, encompassing aspects such as level of ﬁnancial solvency, compliance with labor and ﬁscal standards, sanitary requirements, ethical conduct, as well as human rights and social and environmental best practices. In 2016, the organization is planning to adopt an IT tool which will permit it to check LATAM suppliers against international databases and blacklists of companies involved in money laundering, fraud, ﬁnancing terrorism, crimes against humanity, and the exploitation of child or slave labor. All company suppliers submit to the company Code of Conduct, which addresses questions such as ethical conduct, anti-corruption practices, occupational health and safety, human rights – and more speciﬁcally child and slave labor –, working conditions, as well as social and environmental responsibility. Furthermore, contracts contain speciﬁc clauses on compliance with environmental requirements, with performance monitored by audits. Environmental criteria are incorporated into the selection of partners: ranging from the measurement and management of greenhouse gas emissions, energy efﬁciency and initiatives to ensure the reduction and proper disposal of waste, in particular hazardous varieties. The criteria were already being applied to certain specific procurement categories and were extended to the entire supply chain. The company conducts audits on third-parties and sub-contractors regarding labor obligations, overtime and equipment maintenance. Periodic audits are also carried out on suppliers considered to be critical, such as those providing aircraft parts, aviation fuel, airport equipment and passenger back up and tracking systems. Suppliers of products and services that have a high cost, that are not easy to substitute or that could potentially affect operational continuity are considered to be critical. “Once selected, the supplier must sign a contract, which contains an environmental clause. By this clause, providers are compelled to comply with all environmental legal requirements and to take responsibility for any sanctions in this regard. Also, contractors are bound by this clause to safeguard the environment and to avoid actions that may harm it, taking any preventive measures needed. The clause applies to all types of providers, especially those working with hydrocarbons, fuels, efﬂuent discharges, atmospheric pollutants and waste, in particular hazardous varieties. b. In the event of an environmental incident, to act strictly in accordance with the guidelines provided by the client (LATAM Airlines Group or any of its subsidiaries), including the application of controls and mitigation measures. c. Heed the observations and apply the corrective or preventive measures proposed by the client or any other inspection authority.  d. Provide all the information requested by the Client to facilitate audits and veriﬁcation of compliance with client guidelines and environmental regulations. LATAM is committed to dialogue with government agencies and industry associations in the different markets in which it operates, with the objective of driving responsible business conduct, inﬂuencing best practices, developing joint projects and working on common causes. For this reason, the company monitors debates on the air industry, promoting transparent dialogue aimed at the pursuit of joint solutions in accordance with legal frameworks. As part of its environmental strategy, LATAM also participates in industry discussion forums aimed at establishing a joint commitment to reducing environmental impacts, in particular those related to climate change. The company’s ﬁrm positioning and coherent conduct have helped drive the adoption of a number of agreements on relevant questions. Based on a multi-sector approach, the company seeks to engage different actors in the pursuit of solutions for delicate issues such as sustainable energy sources. Worthy of note were LATAM’s contributions to the following organizations and projects in the course of 2015. IATA (International Air Transport Association): the company has actively participated in this association, especially in environmental discussions on climate change strategy and environmental management. ICAO (International Civil Aviation Organization): LATAM has contributed in discussions regarding the environment, adaptation to climate change and market-based measures to mitigate it. Among the ICAO Objectives for 2014-16 is Environmental Protection, which seeks to minimize the adverse environmental effects of civil aviation activities. ALTA (Latin American and Caribbean Air Transport Association): the company has been leading the regional discussions on climate change and greenhouse gas emission reduction, especially through the Climate Change Group.  Carbon Disclosure Project (CDP): the CDP has played a relevant role globally as a forum for discussing climate change-related issues. In this regard, LATAM Airlines Group has been an active participant, with its Environmental Director speaking at a number of these forums. The company also reports regularly to the CDP on its emissions performance. The Sustainable Aviation Fuel Users Group (SAFUG): TAM participates in this group, which was formed in September 2008 with support and advice from the world’s leading environmental organizations, such as the Natural Resources Defense Council and the Roundtable on Sustainable Biomaterials (RSB). The group is focused on accelerating the development and commercialization of sustainable aviation biofuels. Aliança Brasileira para Biocombustíveis de Aviação (ABRABA): TAM belongs to this organization, which provides a forum for Brazilian aviation companies to discuss and agree upon the production and usage of biofuels in the industry. Empresas pelo Clima: TAM also belongs to this alliance of Brazilian companies that seek to mobilize and articulate business leaderships for the reduction and management of greenhouse gas emissions along with management of climate-associated risks and public policies. Reforest Patagonia: this is a public-private alliance aimed at reclaiming the ecosystem of a region of key environmental interest, Chilean Patagonia. Over the past 100 years, this region has suffered the impact of ﬁres and commercial exploitation which have devastated more than 3 million hectares in this zone. 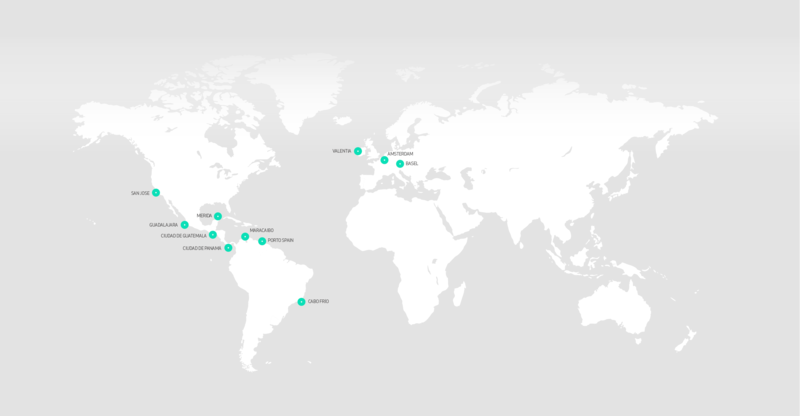 Through LAN, LATAM is one of the founding companies of this initiative. BAM: LAN Peru has been offsetting the emissions of ground operations since 2012 through a REDD project managed by Bosques Amazónicos. In four years of operation this alliance has offset 25,046 tons of CO2 emissions. LATAM has always sought to turn its interactions with its diverse stakeholders into opportunities for joint development.  In the course of 2015, the company developed a tool to leverage this process systematically: the Corporate Stakeholder Relationship Policy. The document applies to all LATAM units and will be submitted for approval by the Board of Directors in 2016. The policy objectively sets forth the criteria to be used in identifying and prioritizing stakeholders, taking into account the speciﬁc context, company guidelines, topics considered to be material in managing sustainability, potential impacts and the power of inﬂuence of each group. As such, this policy beﬁts the dynamic nature of these relationships and the growing trend towards demands for information, transparency and a proactive stance on the part of the company and will be used periodically to review the list of stakeholder groups. Roles and responsibilities were determined within the company for the execution of structured engagement plans, tracking progress against the goals and targets established by means of performance indicators. The process will be overseen by the Corporate Affairs area and executed under a matrix structure by the diverse company areas, such as Finance, Marketing, Legal, Compliance, Human Resources, Investor Relations, Airports and Procurement, among others. The goal is to promote dialogue around subjects of common interest and to transparently reinforce the company’s positioning on pertinent questions for the aviation industry. The Corporate Stakeholder Relationship Policy is aligned with the international commitments assumed by LATAM and with the references the company uses in managing the economic, social and environmental dimensions of the business. Worthy of note among these are: the ISO 26000 social responsibility standard; initiatives such as the Global Compact’s Sustainable Development Goals; the International Labor Organization’s (ILO) Tripartite Declaration of Principles concerning Multinational Enterprises and Social Policy and the Organization for Economic Cooperation and Development (OECD) Guidelines for Multinational Enterprises. The companies that belong to the LATAM Airlines Group received nearly 25 recognitions in different areas, such as services, sustainability and onboard entertainment, among others. 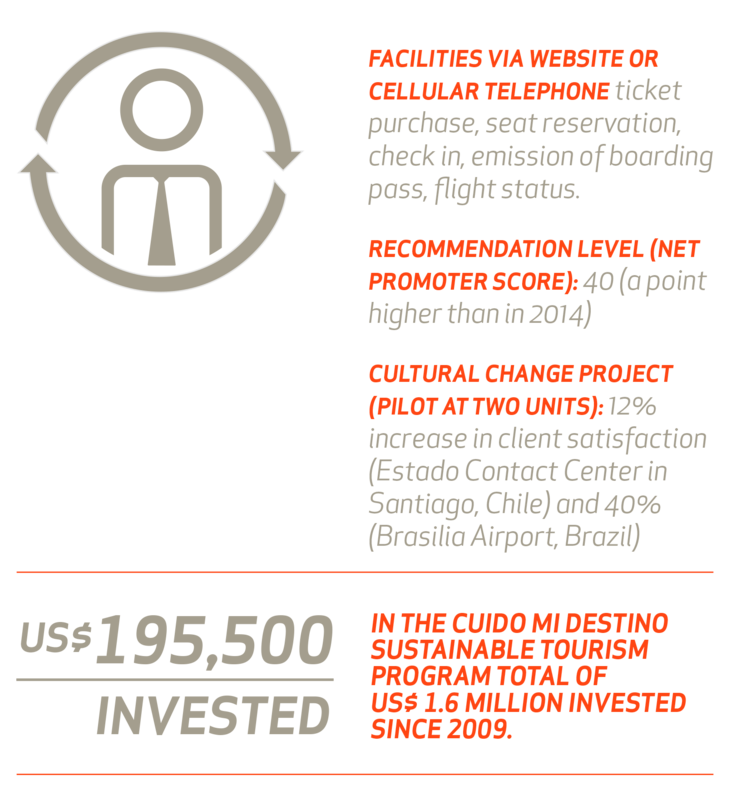 The most important recognitions that LATAM Airlines Group received during 2015 are highlighted below. LAN: 1st place in the “Best Airline in South America” category. TAM: 3rd place in the “Best Airline in South America” category. LAN: 1st place in the “Best Service in South America” category. TAM: 3rd place in the “Best Service in South America” category. Airline of the Year Awards 2015: Acknowledgement granted by AirlineRatings to the best airlines whose purpose is to help passengers to choose with whom to travel. LAN: Winner of the Long Haul Americas category. 4th year in the “DJSI Emerging Markets” category. 2nd year in the “DJSI World” category. “Best Company in Latin America” Award. Award “Best of the Best”. General Manager Leader in Sustainability: Enrique Cueto. 1st place in the “Company Leader in Investor Relations” category. 2nd place in the “Company Leader in Corporate Governance” category. Recognition “Efficiency in the air: RNP”. Recognition “Efficiency in the air: Ultra-Light Containers”. Recognition “Carbon Management: Smart Fuel Program”. Certification ISO 14.001 in Miami. Measurement and external verification of carbon footprint. Company Leader in Climate Change. Folio: Eddie & Ozzie Awards 2015: one of the print and digital magazines industry globally. IN Magazine: Golden Award for “Best Use of Illustration” for the report “Kings of Speed”, June 2015. IN Magazine: Golden Award for “Best General Design” for the report “Gastronomy Special”, November 2014. Local newspaper in Peru: Golden Award for “Best New Publication of the Year”. Award for the EETC financial transaction, in recognition of size, legal complexity and for being pioneers in this type of transaction and innovative in the market. LATAM: 2nd Place in the “Best Practices 2015” Category for public traded companies. TAM: Winner in the “Airline Companies” Category (for the 7th consecutive year). LAN: Winner in the “Best Corporate Governance – Airlines – South America – 2015” category. eCommerce Awards 2015: The most important award of the electronic commerce sector. LAN CL: Lan.com “Leader in eCommerce in the Tourist Industry”. LAN PE: Lan.com “Leader in eCommerce in the Tourist Industry”. LAN EC: Lan.com recognized for its contribution to the digital economy in the country. LAN and TAM: Silver Medal in the “Best Fortified After Dinner Wine in First Class” category (for the wine 2007 Croft Port LVB). TAM: Bronze Medal for the white wine Dr Bürkin-Wolf Gasbohl 2009, Pfalz. TAM: The most remembered brand in the “Airline Company” category. Board of Directors – comprising nine members, it is responsible for analyzing and deﬁning LATAM’s strategic vision. All board seats are renewed at two-year intervals. The directors are elected via a cumulative vote as established in the company’s bylaws. Committee of the Board of Directors – comprising nine members, all of whom are independent and three of whom hold seats on the Board of Directors. This committee fulﬁlls the role stipulated by corporation law and the standards of the Securities and Exchange Commission (SEC). The committee examines: reports from the company’s external auditors, balance sheets and other ﬁnancial statements; internal control reports; the pay scale of senior management, as well as everything concerning related-party transactions.  Other Committees – created by the Board of Directors to discuss and make recommendations regarding Strategy; Finance; Leadership; and Brands, Products and Loyalty Programs. Senior Management – comprising the executives working in the LATAM Airlines Group or the LAN and TAM business units, including the heads of the Finance, Personnel Management, Marketing, Legal, Audit, Corporate, Planning and Management Control areas. 1members up to April 2016. The Investor Relations area oversees relations with LATAM shareholders and other capital market agents, adopting a transparent communication policy that employs speciﬁc channels. 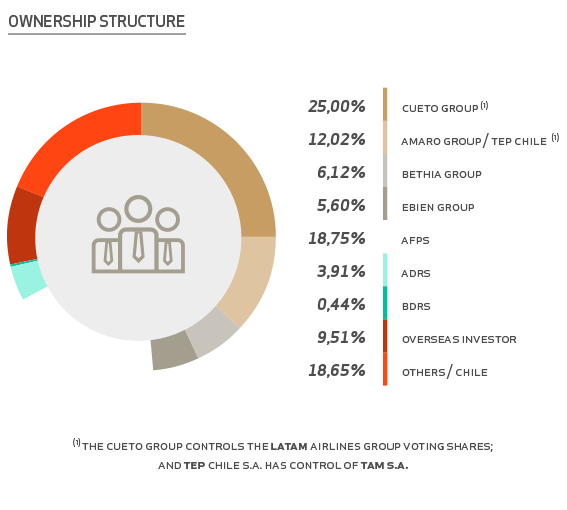 The group´s ﬁnancial and governance information is made available in English, Spanish and Portuguese on the website http://www.latamairlinesgroup.net. The company presents its results on a quarterly basis by means of reports and teleconferences organized by the Investor Relations area and the Chief Financial Ofﬁcer (CFO). For example, the document explicitly sets forth LATAM’s positioning and expectations in terms of employee conduct in relations with government or company representatives, prohibiting the acceptance of gratiﬁcations or the offer of irregular payments. Regarding contracts or ﬁnancial contributions in the name of the group to charity campaigns, social or political causes, the Code determines that the express, prior authorization of the company’s Board of Directors is necessary. Additionally, a Compliance Month was organized during each semester aimed at providing information and raising consciousness in this area, as well as publicizing the company’s new Ethics website on a massive scale. The internal channels for reports on breaches of laws and internal standards of professional and personal conduct were consolidated in a single channel, covering matters ranging from compliance with the company’s Code of Ethics, to labor issues and questions involving discrimination, harassment, as well as all types of fraud, corruption or bribery. The channel is operated by a third-party provider to ensure independence and probity in the analysis of and response to all reports. All incidents are analyzed and forwarded to investigative committees in each country. In the event of any irregularity, the Code of Conduct Administration Committee, comprising the Human Resources, Compliance, Legal and other areas in each location, decides on the measures to be taken. Internal compliance and accountability policies are aligned with the legal requirements for companies with shares traded on the New York, Santiago and São Paulo stock exchanges. The Legal area has staff responsible for supporting the LATAM Chief Compliance Ofﬁcer in each country (Brazil, Chile, United States, Mexico, Peru, Colombia, Argentina and Ecuador) and in Europe. Risk management is a strategic pillar for the LATAM Airlines Group, subject to ongoing improvement. Based on work begun in 2014, LATAM has been focusing more closely on cross-cutting risks – those involving more than one category – and on the early detection of emerging ones. This approach constitutes a strategic complement to the functional risk monitoring and management system in operation throughout the different company areas, overseen by the respective heads. In 2015, the CRO’s (Chief Risk Ofﬁcer) team created to support this pillar led the mapping and construction of a strategic risk matrix, which takes into account the probability of occurrence and the potential impact (in economic and reputational terms) of each type of risk. These are monitored systematically by the company from an integrated standpoint, using a single methodology. This work also enabled the construction of a Corporate Risk Policy, approved by the Board of Directors at the end of 2015 for implementation in 2016. At the highest level of governance, strategic cross-cutting and emerging risks are monitored regularly by the Risk Committee, which reports to the Board of Directors.  At the executive level, there is a Risk Desk coordinated by the CRO, with the participation of managers from different areas and selected guests. The idea is to encourage a more holistic vision of any issues, to see how the impacts interrelate and to seek opportunities for synergy. The assessment incorporates economic, social and environmental matters. The plans for 2016 entail extending the approach adopted at corporate level to the local operations in order to integrate the main strategic risks identiﬁed in the subsidiaries. The company also intends to advance in the consolidation of an internal risk management culture, ensuring the entire team is aware of the potential impacts each decision may have on overall results. Among the emerging risks identiﬁed by the company, worthy of note are possible ﬁnancial impacts in the medium term resulting from more restrictive atmospheric emission standards legislation and the propagation of communicable diseases, which in extreme situations could affect demand for services. To minimize these risks, LATAM acts in conjunction with the competent authorities, conducts communication and preventive campaigns in the event of epidemics, in addition to incorporating these factors into its emergency response plans. corporate citizenship: making LATAM’s businesses and its value chain relationship network – suppliers, employees, clients and society – a catalyst for social and economic development and environmental balance in the region by means of employee development, private social investment deﬁned in accordance with corporate values and adjusted for local needs, encouraging the adoption of best practices and fostering tourism. These three dimensions sustain the company’s performance and guide its actions, helping LATAM to exercise the responsibility inherent to its leadership role in the region in its relations with stakeholders. The company addresses compliance with laws, regulations and voluntary agreements and sustainability-related risk management strategically. Senior management is responsible for the environmental and sustainability area, monitoring performance in conjunction with the relevant departments and units, and working with the subsidiaries, suppliers and industry associations to drive compliance with environmental standards, emission levels, internal environmental guidelines and the application of best practices. Periodically the Executive Committee monitors performance in the key indicators for economic, social and environmental questions, as well as evaluating the effectiveness of internal controls and risk management in these areas. Sustainability report: in accordance with Global Reporting Initiative (GRI) guidelines, LATAM publishes an annual report presenting its most relevant indicators, encompassing greenhouse gas emissions, energy consumption, waste generation and legal compliance.  Global Compact: the company has been a signatory to this United Nations initiative since 2012, providing annual updates on its measures to achieve the ten compact goals. Carbon Disclosure Project (CDP): LATAM has reported to the CDP since 2011 and is committed to improving company performance year on year. Dow Jones Sustainability Index (DJSI): Latam Airlines Group has reported to the DJSI since 2011, and has been listed in the emerging markets index since the following year. In 2015, LATAM was listed on the index for the fourth year running, an achievement which positions it among the world leaders in climate change and eco-efﬁciency in the aviation industry. To meet the challenge of ensuring the alignment and high performance of 50,413 professionals, comprising 62 different nationalities in 26 countries, LATAM maintains a human resources management framework that comprehends talent attraction and retention, training, performance management and succession management. The work done by this area supports the company’s ﬁve strategic pillars and its aspiration to be one of the three best airlines worldwide. In 2015, a key focus was process simpliﬁcation and standardization of training for the entire group. Courses were adapted to incorporate modiﬁcations in procedures, in particular in the regulatory and safety areas. Based on a central design, these will be executed locally in the countries in which LATAM and its affiliates have operations. For example, this process enabled the delivery of a single compliance training program for the entire LATAM group, covering the main internal compliance policies and guidelines. 42,300 employees were trained, representing 84% of the work force. Also worthy of note was an initiative to consolidate the LATAM culture, with the organization of a massive agenda of workshops. The ﬁrst wave was for leaders, with all the company’s 1,500 team leaders taking the courses. In a second stage, the training was extended to the teams, with the target of reaching all passenger-facing staff by the end of 2016. A total of over 2 million hours of technical, behavioral and leadership training was provided for employees in the diverse company areas, averaging 41.5 hours per person. LATAM invests in training its employees in the economic, social and environmental aspects of sustainability. In parallel with the incorporation of these questions into business strategy, the company has been striving to raise employee consciousness and knowledge in sustainability-related issues. Corporate health, safety and environment guidelines are set forth in the Code of Conduct which was approved in 2014. The company has developed speciﬁc training programs based on the document to disseminate its contents among the work force. Sustainability was also featured in the LATAM culture workshop program taken by the entire work force. Moreover, forums and workshops are being organized to brainstorm improvements in environmental development to encourage environmentally friendly choices among company personnel. The airline group’s progress and challenges related to environmental performance are also addressed in a monthly newsletter sent to all employees. In 2015, LATAM implanted the use of tricycles to help employees move more quickly around the Maintenance Base in Santiago, Chile. These vehicles present a number of advantages compared with the electric motorcycles used previously: they do not generate any environmental impact, are equipped with cargo platforms for transporting heavier objects and help employees to stay ﬁt; they can also be maintained and repaired by suppliers already working on the Base. In a survey conducted among users, the tricycles were considered to be the safest and most convenient means of transport by 67% of the respondents. Focused on emissions reduction, the company offers its employees incentives to encourage environmentally responsible commuting. Some units provide vans for employee transportation, as well as preferential parking for participants in car sharing schemes. In the effort to consolidate and disseminate the organizational culture, of key importance are the team leaders, responsible for driving employee engagement in the day to day operations and ensuring their alignment with strategic objectives. The team leaders played an important role in preparing the development and culture workshops. A group of 40 leaders was responsible for training other leaders, who acted as multipliers, replicating the courses to their teams.  In line with the goals of simplifying processes and driving efﬁciency gains, LATAM has been reﬁning the tools it provides to support leaders in managing their teams.  In 2015, the company created a virtual library containing the main documents on people management policies and practices, which are updated and available for consultation and download. An internal contact center was also set up to clarify team leaders’ doubts. In the ﬁrst six months of activity, 98% of the leaders rated the service as “excellent”. To enable managers to be independent and proactive in managing their own careers, studies are underway to improve information channels. In the Chilean unit, a Personnel Attention Module is in place on the company intranet, providing each employee with information on their functional situation in the company. The idea is to reﬁne this model and extend it to the rest of the operation.  The employee appraisal results determine career progression, and high performance is rewarded with development opportunities. In 2015, 85% of the vacancies for executive positions were ﬁlled by existing company employees, higher than the target rate for the period (70%).  Moreover, 38.1% of employees considered to be high performers changed job during the year and 84.7% received salary increases. To drive internal mobility and the pursuit of new professional challenges within the airline group, LATAM posts job vacancies on the company intranet. Employees also receive a weekly summary of the opportunities available via email. Focused speciﬁcally on employees identiﬁed as high potential, in 2015 the airline group conducted its Talent Review, which brought together the professionals responsible for talent management throughout the operation for an exchange of information on the main proﬁles identiﬁed and the needs of each country. Pilot selection at LATAM incorporates international parameters governing technical knowledge, aeronautics and ﬂight simulator tests, as well as psychological factors, in line with the legal requirements in the diverse countries in which the airline operates. To ensure autonomy, the process is outsourced and subject to external veriﬁcation. It is also submitted to internal audit, involving meetings with representatives of the Human Resources area and senior Flight Operations and Safety executives. Focused on the future, LATAM maintains a structured succession plan, the execution of which is closely monitored. Potential successors have been identiﬁed for around 78% of the company’s critical positions, be it professionals deemed completely ready to assume the new function (61%) or those undergoing preparation within the company (17%). The result exceeded the 70% target established for the period. In recent years the turnover rate has remained stable in the company, at around 15%. A number of measures have contributed to this performance, such as the enhancement of recruitment and selection processes, employee engagement, performance appraisal and internal mobility, in addition to development and talent retention initiatives. For LATAM Airlines Group, achieving its aspiration of being one the three biggest airlines groups in the world involves much more than mere numbers that demonstrate its ﬁnancial performance, ﬂeet excellence, destinations map and service quality. The airline group’s vision is based on relationship dynamics and businesses which are sustained over time and generate shared value for shareholders, the market, employees, clients, suppliers and society as a whole, and upon which the future is built one day at a time, in the present.  Leadership in destination network: its extensive network of destinations within South America, and connectivity with the rest of the world are at the heart of LATAM strategy and constitute a major appeal for clients and potential partners. In addition to consolidating domestic and international hubs in key airports in which the company operates directly, LATAM invests in agreements to expand the possibilities offered to clients. This is exempliﬁed by the agreements signed at the beginning of 2016 with American Airlines and with the International Airlines Group (IAG), comprising British Airways and Iberia, which added 420 destinations in Europe, the United States, Canada and South America to the network. Both agreements are subject to government approval. Leading brand and client experience: in 2015, a LATAM launched its new brand, which uniﬁes the LAN and TAM brands consolidating the strong association with the Latin American continent, which is the heartland of company operations. More than just a graphic symbol, the new brand stands for the internal cultural transformation the company has been undergoing since the merger and is fully attuned with the renewal of its value proposition for clients and its differentiation strategies.  This is manifest in the cultural change project, which is changing the way the company relates with its clients and involves heavy investment in digital technology. Cost competiveness: the commitment to efﬁciency fundamental to any operation gains even greater relevance given the challenges posed by the current macroeconomic conjuncture. Diligence in ﬁnancial management, a focus on operational excellence and ﬁne tuning ﬂeet investment plans are some of the elements in this pillar. The target is a 5% reduction in total operational costs by 2018. Organizational strength: technical capacity and employee engagement underpin all LATAM’s work. In 2015, the company invested heavily in process simpliﬁcation, in strengthening leadership roles and in adapting internal structures, aimed at avoiding duplication and overlap and driving efﬁciency. 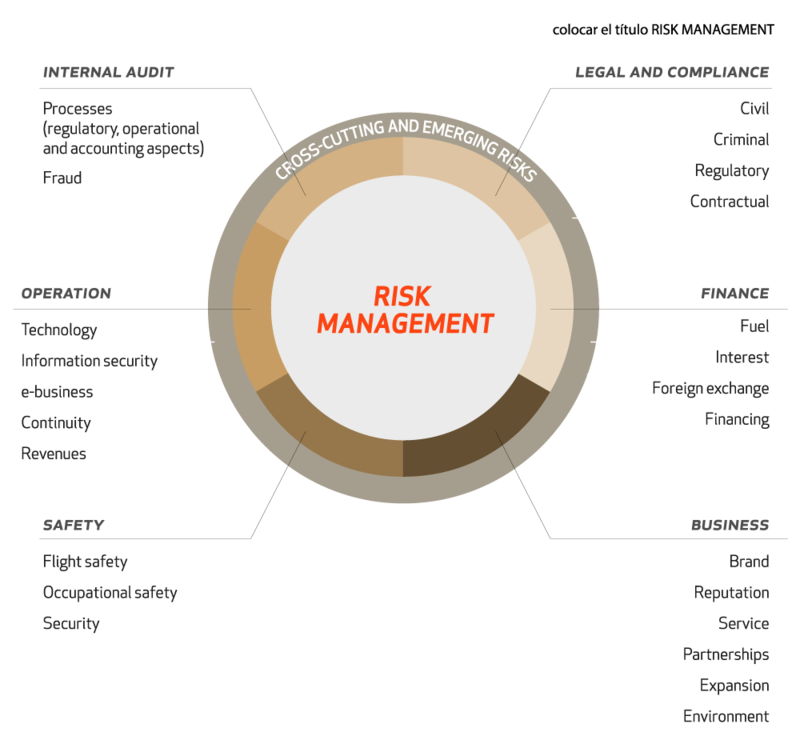 Risk management: a more strategic and systemic approach was adopted, incorporating the mapping and consolidation of new dynamics for monitoring cross-cutting and emerging risks. The process involves different areas and all levels and is aimed at establishing an internal decision making culture which takes the correlations and potential impacts of each initiative into account on a broad basis. 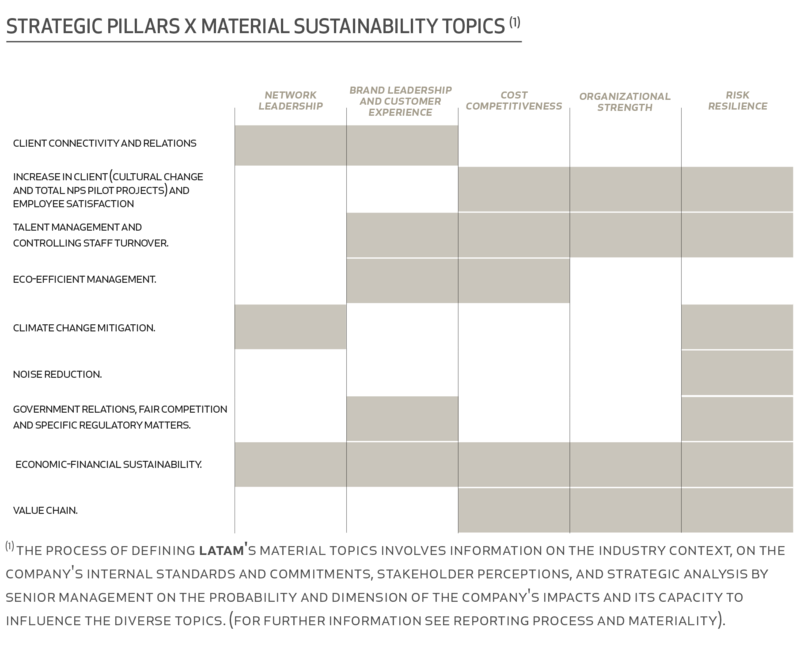 Combined in a matrix with the topics covered by Corporate Sustainability Strategy, these pillars are translated into the initiatives executed by the different company areas on a day to day basis. LATAM maintained its leadership position in 2015 in spite of the challenging economic conjuncture, marked by a downturn in economic growth and the devaluation of local currencies in South America, particularly in Brazil. The company managed to increase operating margin by 1 percentage point (p.p.) compared with 2014, reaching 5.1%, with an operating income of US$ 513.9 million. It also maintained an adequate level of liquidity, ending the year with US$ 1.361 billion in cash and cash equivalents, corresponding to 13.4% of net revenue for the preceding 12 months. The company’s resilience to macroeconomic difﬁculties is due to its diversiﬁed commercial model, rigorous expense management, adjustments in the ﬂeet plan and its agility in adapting to lower demand by reducing capacity in the domestic and international markets in Brazil. The cost reduction strategy generated savings of around US$ 325 million in the year, higher than the original expectation; the target is to reach a 5% reduction by 2018. In addition to increased efﬁciency, operating costs were positively impacted by the devaluation of local currencies, with an 11.5% reduction in cost per ASK -equivalent (excluding fuel) in 2015. In 2015, for the fourth year running LATAM was quoted on the Dow Jones Sustainability Index (DJSI), the main global reference in the economic, social and environmental aspects of long-term value generation. The selection is based on a methodology known as Best in Class, which analyzes large publicly traded companies in different industries in terms of their economic, social, environmental performance and governance practices.  Only leading companies are included in the ﬁnal list, which is published annually. The process of selecting the companies in the DJSI is conducted by RobecoSAM, an investment consultancy specialized in sustainability. In addition to being in the indices for Chile and the Emerging Markets – with companies in countries such as Brazil, Chile, China, Colombia, Czech Republic, Egypt, Greece, Hungary, India, Indonesia, Malaysia, Mexico, Morocco, Peru, the Philippines, Poland, Qatar, Russia, South Africa, Thailand, Taiwan and Turkey –, LATAM is also in the Dow Jones Sustainability World Index, reserved for the top 10% of the entire ranking. In 2015, the 2,500 largest companies (according to the S&P Broad Market Index) from 47 countries were assessed, from which 317 were selected. Total revenue was US$ 10.125 billion in 2015, 18.8% down on the previous year, driven by a 19% and 22.4% decrease in passenger and cargo revenues respectively, partially offset by a 2.2% increase in other revenues. In 2015, passenger and cargo revenues accounted respectively for 83.1% and 13.1% of total operating revenue. Demand in the Spanish-speaking countries – Chile, Peru, Argentina, Colombia and Ecuador – continued to grow at a modest rate in the fourth quarter of 2015, with a 5.3% increase in passenger trafﬁc measured in RPK , ending the year at 17,858. Passenger capacity, measured in ASK, increased 2 5.5% in the year, driven by growth in Peru and Argentina, together with a 0.2 percentage point rise in the occupancy rate, which reached 81.5%. On a global level, the company’s total capacity increased by 3.1%, driven by 6.4% growth in the international routes, focused on strengthening the hubs and routes to the Caribbean. Domestic capacity in the Spanish-language markets grew 4.8%, mainly due to Colombia and Peru; there was a decrease in the routes between Brazil and the United States. LATAM progressed in its pursuit of synergies between the cargo and passenger businesses, leveraging the two operations through optimized use of aircraft capacity. Integrated route planning and the use of aircraft holds on passenger ﬂights to carry cargo is proving to be the right strategy. LATAM and its affiliates, have cargo operations in Argentina, Chile Colombia, Peru, Brazil, Paraguay, Uruguay, Mexico, Miami, Los Angeles and Europe, which account for around 13% of its total business. In 2015, the airlines group transported 1 million metric tons, 9% down on 2014. Cargo capacity, measured in ATK, dropped 1%, resulting in a 4 p.p. reduction in the occupancy rate, which reached 56%. Of the markets in which the company operates, the macroeconomic situation in Brazil presented the major challenges for the company.  Low growth, the accentuated devaluation of the currency and economic and political instability led to a 15% reduction in air cargo imports on routes from the United States to Latin America. This situation provoked a 22.4% decrease in cargo revenues in 2015, the result of the 12.0% decrease in cargo trafﬁc and the 11.8% drop in income. In 2015, LATAM announced the restructuring of its 2016 – 2018 ﬂeet renewal plan, reducing its pre-delivery advance payments, with a view to adapting capacity to Latin American market conditions. The renewal scheduled for the period was reduced by around 40% (approximately US$ 3.0 billion). This measure is aligned with company strategy to maintain a healthy balance and appropriate liquidity levels. The LATAM brand and service quality are differentials for the company. To reinforce these and take relationship to the next level, LATAM is working on a number of initiatives aimed at enhancing the client experience across a broad spectrum that goes beyond the time spent in the air. Investments in technology, new communication platforms, a client-focused service culture and rewards programs are some of the instruments the company uses to forge closer ties with passengers at all points of interaction, ranging from the website, stores, contact centers to airports and in ﬂight services. The airline group invests constantly in digital technology to improve connectivity with clients and facilitate access to its services. Passengers may buy tickets, reserve their seats, check in and get their boarding pass via the company website and mobile phone apps. In 2015, new features were introduced such as ﬂight status, with real-time information on whether a ﬂight is on time or late, with explanations about any delays and expected arrival and departure times. In the second half of the year, an option permitting LAN clients to reschedule delayed or cancelled ﬂights by means of a chat available in the application was enabled. The service helped to reduce the impact of an air trafﬁc controllers’ strike in Chile in the second half of the year. Around 31,300 LAN passengers were notiﬁed about the risk of delays or cancellations by SMS or email, and 13,700 (44%) used the chat to seek alternatives. The majority of accesses (70%) were by mobile phone, and 26.4% used the service via computer. This feature will be extended to TAM in 2016. In addition to pre-boarding services, during the ﬂight passengers have access to the LAN and TAM entertainment menu and information via an application for mobile phones, tablets and notebooks. To leverage a new across-the-board service culture, LATAM has launched a cultural change project. This process was initiated with pilot projects in two locations: Brasilia airport, in Brazil, the fourth largest in the LATAM operational region, and in the Estado Contact Center in Santiago, Chile, operated by a team of around 500 people. The ﬁrst step was to identify speciﬁc work details, the way the teams are organized, the demand ﬂow, client proﬁles and needs in the two units. The proposal was to elaborate the global strategy and act locally, adapting it to speciﬁc requirements and possibilities. During three months, the transformation teams implemented changes in the operational routines and monitored the results. There were over 40 initiatives, ranging from rethinking how company policies are applied and how tasks and responsibilities are divided among the team to the adoption of tools to monitor client satisfaction in real time. A key element in the project was higher employee engagement stemming from increased decision making autonomy. The project results were highly positive in the three dimensions in which it is monitored: client satisfaction; employee engagement and productivity. In the Contact Center, for example, productivity increased by 20%; the number of satisﬁed clients grew 12% while dissatisﬁed clients decreased by 33%. At Brasilia airport, service efﬁciency was up by 12% (based on the average number of clients served per employee). Employee satisfaction, measured on a daily basis, grew 40%. The initiative is being extended to the rest of the service network in 2016. Twist is already underway in the LATAM service units at the Galeão and Santos Dumont airports in Rio de Janeiro (Brazil), Miami (United States) and at the airport and contact center in Lima (Peru). By the end of 2016, the project will have been implemented at all the contact centers and around 70% of the airports used by the company. LATAM tracks passenger satisfaction via online surveys based on Net Promoter Score (NPS) methodology. The questionnaires are sent out on a weekly basis to passengers who have ﬂown LAN or TAM. From 2014 to 2015, Total NPS increased slightly from 39 to 40 points. With this methodology, the result may vary from -100 points to + 100. To offer a more complete view of client perceptions, the calculation also includes passengers whose ﬂights suffered delays. At TAM, the survey is conducted among participants in the TAM Fidelidade program, while LAN takes into account both LANPASS clients and passengers not in the loyalty program. In the cargo operation, the methodology used is the total satisfaction rate, which takes into account different aspects of the service. The rating in 2015 was 77%, 6 percentage points up on 2014, beating the target (74%) set for the period. The improvement in the rate is due to the action plans adopted by the company based on the results of the previous survey and the focus on factors such as reservation fulfillment, reduction in Contact Center and customer service response times, cargo delivery conditions and the fit between cargo capacity/ destination network and client needs. In terms of individual operations, the leaders are Quito (83%), New York (82%) and Miami (81%). The operations in Europe had an average score of 82%, compared with 77% in Latin America. The LATAM Airlines Group operates two loyalty programs that reward more frequent ﬂyers with free tickets, upgrades, products and, in some cases, facilitated access to check in and boarding.  The programs work in parallel, enabling the respective participants to accumulate and exchange points for travel on LAN and TAM, as well as on ﬂights operated by oneworld alliance member companies. LANPASS was created in 1984 and enables members to accumulate miles which may be redeemed as airline tickets or products. In 2015, the program had 10 million members in Chile, Peru, Argentina, Colombia, Ecuador and the United States, a 13% increase compared with 2014. TAM Fidelidade: was the ﬁrst ever loyalty program created in Brazil back in 1993. Since 2010 it has been part of Multiplus, the biggest loyalty network in Brazil. Members may accumulate points and exchange them at 13,000 points belonging to 465 companies in diverse segments, in addition to acquiring airline tickets. Multiplus is listed on the BM&FBovespa exchange, with TAM as its main shareholder. TAM Fidelity ended 2015 with 12.8 million members, 8% up on the previous year. In absolute terms, air transportation accounts for only 2% of greenhouse gas emissions related to human activity, according to data from the Intergovernmental Panel on Climate Change (IPCC). Around 80% of the sector’s greenhouse gas (GHG) emissions are related to flights of over 1,500 kilometers, journeys for which air travel is the most efficient alternative3. In spite of the limited relevance in terms of global emissions, the potential effects of aviation on climate change represent the industry’s main environmental impact and are the target of coordinated efforts and voluntary public commitments. In the list of topics considered to be material by LATAM, the environmental component of sustainability management is a constant. In the process of elaborating this report, three of the nine relevant topics are related to environmental impacts and are addressed from a perspective of mitigating climate change and capacity to adapt to it. This is a topic that can have a profound effect both on the profitability and execution of the company’s operations. The LATAM risk management system has detected risks arising from the growth in regulations aimed at controlling climate change, and over the past year the company has been engaged in the implementation of its climate change strategy, pursuing several lines of action. The LATAM environmental management system was designed to reduce the company’s impacts on climate change and to improve its capacity to adapt to changes in weather patterns and in the regulatory environment. This also permits LATAM to track and follow up on the targets established, facilitating management of its material issues. The main source of GHG emissions in aviation is fuel consumption, and by means of constant investment in technology and the improvement of procedures, the operation has been driving efficiency gains year on year. Relative fuel consumption (measured in RTK4) has decreased on average by 70% since the birth of the air travel industry5. Flights have also become more efficient in terms of emissions: while total passenger numbers have grown by around 5%, the annual increase in emissions is approximately 3%. With its Fuel Efficiency Program, LATAM economized 38.4 million gallons of fuel in 2015, avoiding 366,500 tons of CO2e emissions. Since fuel is also one of the main resources used in the operation, efficient management has a direct impact on costs. The company has also committed to putting a price on its carbon footprint in order to influence investment decisions and to drive down greenhouse gas emissions. LATAM is a member of the main discussion forums on climate change and collaborates with a number of group initiatives to improve environmental performance in aviation. The company is the leader in efficient fuel use and is committed to the International Air Transportation Association’s (IATA) Carbon-Neutral Growth (CNG2020) initiative. An unprecedented proposal, CNG2020 is a voluntary commitment under which, from 2020 airlines will offset all sector emissions exceeding average emissions in the baseline period 2018-2020 until the company achieves its emissions reduction target. LATAM is working towards becoming carbon neutral in its ground operations. Since 2012, the company has reduced annual emissions by 12% and offset a further 7%. An example of this effort is Colombia, which offset all its emissions from ground operations in 2014. This involved the purchase of carbon credits from the REDD Chocó Forest Conservation project in the Darién region, close to the Panamanian border. Emissions measurement was verified externally by the Spanish Association for Standardization and Certification, AENOR. 3Air Transport Action Group (ATAG), 2014. Aviation – Benefits beyond borders, p.7. 4RTK: revenue ton kilometer. Weight transported multiplied by the distance traveled. 5Air Transport Action Group (ATAG), 2014. Aviation – Benefits beyond borders, p.23. Other environmental management aspects of the operation are also taken into account in long-term planning. The proliferation of regulations governing air quality and noise levels constitute a critical issue for LATAM performance standards. There is also concern related to urban growth. These days, more and more housing developments are located closer to airports, increasing public exposure to aircraft noise. It is important that urban development plans take this into consideration in order not to restrict air industry growth. Currently, the LATAM fleet is compliant with the ICAO Chapter IV Standard, the most rigorous noise standard in the aviation industry, and the company is engaged in diverse initiatives to improve its performance in this area. In recent years, it has withdrawn aircraft generating higher noise levels from the fleet, including the A340, replacing it with models such as the B787 and the new Airbus A350, which will come into operation in 2016. These new aircraft generate up to 40% less noise than similar models. Even so, the company aims to decrease noise generation further by investing in more modern and silent aircraft and engines and by implementing operational best practices, such as continuous descent approaches and one-engine taxiing; technological developments, like RNP; and on ground initiatives, such as minimizing the use of APUs in airports. Halve the company’s 2005 carbon footprint level by 2050.  Regarding legal compliance risks, in addition to financial impacts, the company analyzes the potential impact on its image of non-compliance with standards. preparing the company to implement and comply with the IATA Carbon Neutral Growth 2020 target. In flight operations, particularly noteworthy in the year was the Chilean international operation’s certification under the International Air Transportation Association’s voluntary environmental program: IATA Environmental Assessment (IEnvA). LATAM is the first airline group in Latin America and the third worldwide to receive this certification. The process took three years and involved analysis of environmental requirements at all destinations served by the unit, as well as a detailed study of the environmental impact caused by flights and corporate activities. IEnvA is an environmental management system designed by the aviation industry, specifically for the aviation industry to drive environmental improvement. It allows airlines to focus on environmental performance improvement and leverage universal solutions that exist across the aviation industry. Stage 1 allows the airline to establish the framework for its EMS and to identify and comply with legal requirements and other obligations. Stage 2 allows the Airline to determine the significance of its environmental aspects and set objectives and targets. It also provides a framework for monitoring requirements, internal assessments and management review. Worthy of note among the benefits of IEnvA certification are: a reduction in risks of legal compliance; financial savings through the lower use of resources; demonstration of good environmental governance; environmentally conscious personnel; transparent environmental information for stakeholders. IATA commissioned Societé Genérale de Surveillance (SGS) to conduct an independent compatibility review of the IATA Environmental Assessment (IEnvA) Program against the International Standard for Environmental Management (ISO14001:2004). SGS confirmed that the IEnvA standards are consistent with the International standards and the programs are compatible. (The complete SGS declaration may be viewed in the Attachment.) [+ Anexo 2]. In 2015, LATAM advanced towards its target of developing environmental management systems based on the ISO14001 standard in its ground operations for the maintenance units (MRO’s) in the countries in which we operate. The maintenance bases in Argentina, Brazil, Chile, Colombia, Ecuador and Peru are engaged in implementing management systems along these lines. The LAN Cargo unit system in Miami received ISO 14001 certification in 2015. Considering the airline group’s total transportation, measured in RTK, so far 25% of our operations already have systems certified in accordance with international standards. To drive internal performance improvement, LATAM has established management goals in the areas of technology, operations, infrastructure, economic performance, legal compliance and external commitments. The company monitors progress towards these by means of 21 key indicators. The systematization and integration of environmental management throughout the company also enables more accurate tracking of environmental investment and the measurement of the results achieved in terms of efficiency gains and cost avoidance. The management systems are based on the study of the applicable environmental regulations, and are used to ensure and maintain compliance with standards. LATAM Airlines Group did not register any significant sanctions for failure to comply with the law in 2015. LATAM actively strives to improve its environmental performance, pursuing impact reduction targets and monitoring progress against these targets periodically. 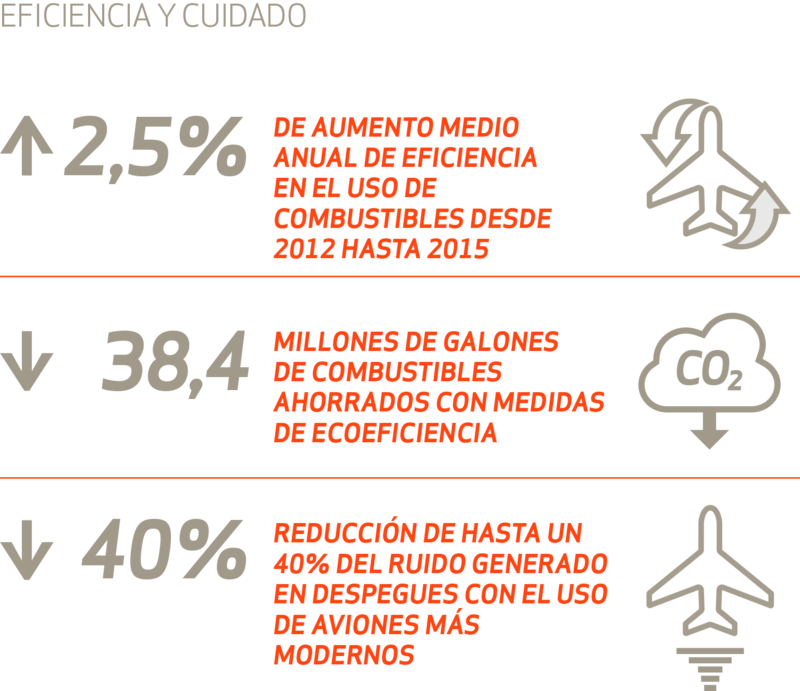 A 1.5% annual improvement in fuel efficiency until 2020 (IATA* Target Nº1) 2009/2012 1.5% annually until 2020 2.5% average annual reduction from 2012 to 2015. Carbon Neutral Growth (CNG) by 2020 (IATA* Target Nº2) 2009 Carbon Stabilized Growth by 2020 Advances in discussions that will enable the implementation of a carbon neutral growth strategy. Halving net CO2 emissions by 2050, relative to 2005 levels (IATA1 Target Nº3) 2009 Reducing stabilized emissions relative to 2005 levels Advances in discussions on action plans in the area. Carbon Neutral Ground Operations by 2020 2012 Zero-carbon in ground operations 12% reduction in emissions from 2012 to 2015. Offsetting of 7% of emissions by means of reforestation projects. A 10% improvement in infrastructure energy efficiency by 2020 2012 10% reduction in energy intensity in buildings (MWh/ FTE2) Expansion of eco-efficient lighting projects in administrative buildings and hangars. 10% less waste by 2020 2012 10% reduction in waste generation 19% increase in waste generation compared with 2014. Management programs to enable target to be achieved on schedule are under development. Having an Environmental Management System (EMS) implemented by 2016 2012 100% implementation IenvA – level 2 certification obtained for the Chilean international operation, as well as ISO 14001 certification for the LAN Cargo operation in Miami. Advance in implementation of ISO 14001-based environmental management systems in the main Aircraft Maintenance, Repair and Overhaul (MRO) facilities. ***Takes the adjusted data into account, since the coverage scope was extended from 2014 to 2015. LATAM monitors its greenhouse gas (GHG) emissions on an annual basis using GHG Protocol methodology.  The calculation takes into account international reference data and information collected from the management systems in diverse LATAM areas.  Whenever necessary, data on other consumption sources are also used for purposes of estimates. The emissions inventory has been conducted since 2010, but, for purposes of comparison and analysis of annual variations, 2012 data are used. This was the year when the LAN/TAM merger took place and also when the ISO 14.064 standard was introduced as a monitoring tool. *Direct emissions (Scope1): fuel consumption in air operations, fixed sources and the LATAM vehicle fleet, as well as refrigerant gas fugitive emissions. **Indirect emissions (Scope2): electricity purchase. The increase is due to changes in Ecuador (increment of data coverage from 28% to 88%) and Brazil (due to constructions and the opening of new facilities. ***Other indirect emissions (Scope3): ground transportation linked with operations (employees, suppliers and waste) and employee business air travel (using other companies). The decrease is due to different factors. First, a general reduction in the corporate travels. Also, there is a reduction in the data coverage for employee commuting in Peru, which explains an 8%. And, Brazil had a decrease of 44% due to a lack of coverage of data. ****Emissions intensity: indicator for air operations only. *Includes: HCFC-22, HFC-134a, HCFC-141b, R-410a, R-422d, R-438a and Halon 1301. Variation in ozone-depleting gases is due to an increment in Brazil. **Sulfur oxides (SOx): An adjustment was made in the values presented for 2014 (from 2,779 Ton to 1,776 Ton) due to a homologation in the methodology used for sulfur oxides calculations. In addition to the direct environmental benefits of reduced non-renewable fuel consumption and the corresponding decrease in climate change impacts, the increased operational efficiency generates financial gains for the company. In 2015, the measures enabled savings of 38.4 million gallons of fuel, which translates into a cost avoidance of US$ 79.1 million. The airline group’s robust environmental performance also represents a differential in terms of attractiveness compared with competitors. Around 25% of cargo service revenues come from customers that use environmental criteria in supplier selection. To maintain the highest eco-efficiency standards, LATAM focuses on three fronts: a young fleet, efficient fuel use and infrastructure improvements.  7According to the 2014 comparison. The data for 2015 were not available on publication of this report.. The LATAM business model, based on an efficient, modern fleet, drives financial and environmental gains. Currently, the average age of the company’s aircraft is seven years, the same as the previous year, reflecting LATAM strategy of maintaining a modern fleet. More efficient engines and operational procedures oriented to combating waste ensure excellent aircraft performance. In 2015, LATAM fleet emissions were on average 80.37 kg CO2/100 RTK, lower than the industry average. The LAN and TAM efficiency programs were unified in the LATAM Fuel Efficiency Program in 2015. 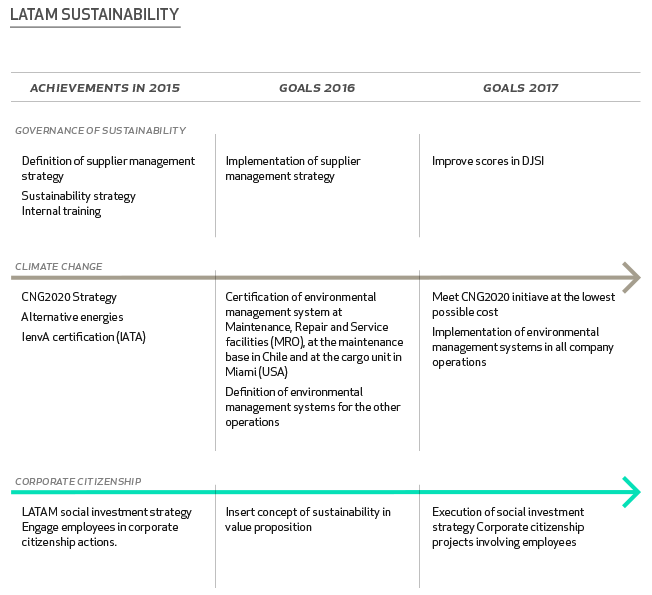 In addition to investing in consolidating a culture of efficiency and an environmentally responsible mindset within the team to ensure the maintenance of existing initiatives (see box), management at corporate level drove new synergies and an advance in the company’s strategic approach. The management and operational procedures determined in the new program enabled total savings of 38.4 million gallons of fuel in the year. On average, the fuel efficiency of the company has improved by 2.5% per year compared to 2012 levels8. The new measures adopted in 2015 involve three main focuses. Together with the Operations and Safety areas, the procedure for activating exterior lighting during approach and landing operations was reviewed, and with the lighting being turned on only at lower altitudes, when it is really necessary. In addition to the direct impact on energy consumption by the actual lighting system, the modification reduces the time the aircraft is submitted to the aerodynamic resistance caused by the equipment. In an operation involving the Maintenance area there was a review of the protocol for activating the airplanes’ auxiliary power unit (APU), used to operate the doors and the air conditioning on the ground.  Software developed by the company enabled the mapping of situations in which the equipment was turned on during maintenance processes, identifying unnecessary waste. Through initiatives to boost team awareness and investments in infrastructure improvements, including external power sources, it was possible to reduce waste in the use of the APUs at all stages of maintenance. Lastly, the airline group also enhanced global management of inspection and maintenance activities, which were coordinated with flight operations. This integrated planning helped reduce the need to relocate planes from one city to another exclusively for purposes of inspection, ensuring alignment between inspections and cargo or passenger transportation operations. These three measures were incorporated into LATAM’s routines, complementing the fuel efficiency initiatives already in use, which are described in the box below. optimization of weight distribution to ensure the most suitable center of gravity. standardization of approach and landing operations. washing engines to ensure more efficient combustion and to reduce particulate emissions. Even though they represent only a small proportion of the company’s carbon footprint, ground operations are also the target of impact reduction initiatives. LATAM has developed construction and building enablement manuals based in Green Building criteria, taking into account environmental matters, and is now working in implementing the in the infrastructure plan of the company. The company constantly develops programs to drive the rational use of water and energy. 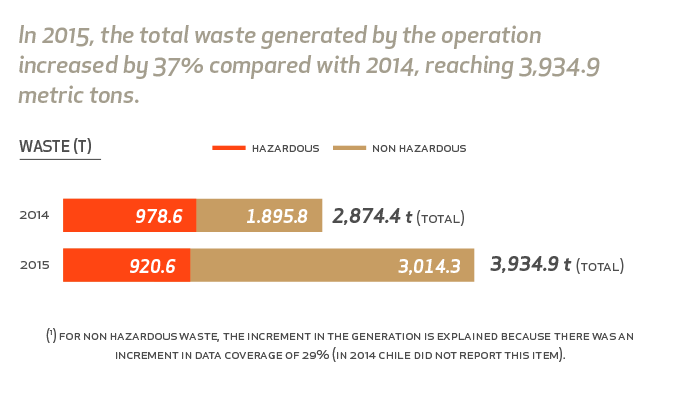 In terms of waste management, LATAM takes measures to guarantee that the largest quantity possible of waste material remains in the production chain, and when this is not possible, it ensures adequate disposal. Even though the overall electricity consumption increased compared with 2014, we have developed several initiatives in 2015. One of the initiatives adopted to reduce power consumption was the modernization of the lighting at headquarters in Santiago, Chile. The light bulbs were replaced with more efficient models, driving a reduction in consumption of over 20%. Also, in Colombia, an eco-efficiency and employee environmental awareness project is underway at the company’s three offices in the capital, Bogota. A diagnosis conducted in 2015 identified potential energy savings of around 8%. *Energy consumption (MWh): Includes internal and external consumption. 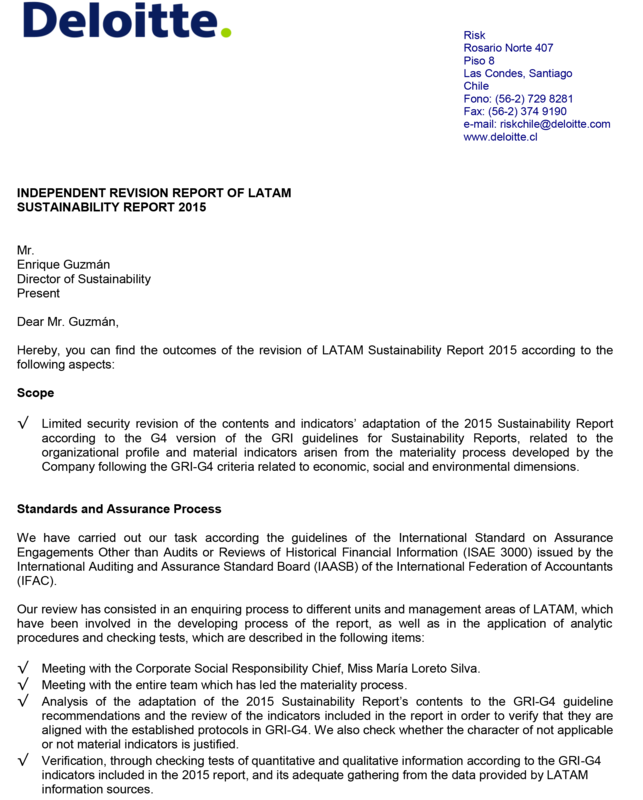 Breakdown by type of consumption and type of fuel in Attachment 5. [+Attachment 5]. Also, the airline group monitors the water use in airplanes in order to optimize the volume loaded and, therefore, reduce its consumption. The water crisis which began in the southeast of Brazil in 2014 remained serious throughout 2015, particularly in the state of São Paulo. Under the circumstances, LATAM maintained its contingency plan to minimize its impacts. One of the measures adopted was supplying water for the aircraft at airports in regions not affected by the drought. In addition to reducing demand in the region, these measures ensured company operations were not jeopardized. Over the years LATAM has conducted three flights using biofuels. In 2010, it was carried out in Brazil a test flight prior to ASTM certification of this fuel; in 2012 it pioneered the use of biofuel in a commercial flight in South America with a flight in Chile; and in 2013 it was responsible for the first commercial flight in Colombia. LATAM adopts the positioning that the concept of alternative energies in aviation should not be limited to biofuels, but rather extended to include all sustainable fuels. With this goal, the airline group has been active on a number of fronts, such as conducting studies on the eco-efficiency of biofuels and the potential for using them in different regions, promoting seminars and debates with authorities in the countries in which it operates, as well as monitoring the development of alternative fuels worldwide. Through TAM, the company is a member of the Sustainable Aviation Fuel Users Group (SAFUG). In spite of these efforts, incorporating the use of alternative sustainable fuels is still not feasible in the region in which LATAM operates. There is a disparity between the volume of fuel required by the industry and production volumes, which translates into prices that are far higher than those of regular fossil fuels. Moreover, the location of production plants and distributors could result in high transportation costs and a consequent increase in the company’s carbon footprint due to the long distances involved. Furthermore, governments have been occupied with other issues lately, leaving little or no space for the discussion of sustainable fuels. This has led to regulations imposing the incorporation of biofuels that have ended up being impossible to apply. A case in point is Peru, where the government was forced to revoke this ruling, it being impossible to execute due to high prices and the lack of volumes necessary to supply the airline industry. It is the company’s perception that the feasibility of sustainable alternative fuels depends on the adoption of a multi-sector approach that includes fuel producers, engine and aircraft manufacturers, policy-makers, as well as the airlines. Together they may address this challenge and start developing guidelines and sources of funding to stimulate the incorporation of alternative sustainable fuels. The current conjuncture is not favorable for the use of this type of fuel in airline operations. The constant pursuit of new energy sources is a key issue for the sustainable development of the industry, and LATAM will continue to work on developing alternatives which will enable the use of more sustainable fuels in the future. Safety is a priority for LATAM. The airline group addresses this question in an integrated fashion based on risk management at all stages of the operation, systematic performance monitoring and a commitment to continuous improvement, sustained by investments in technology, knowledge and the engagement of the entire work force. Safety management is aligned with the highest international standards and is broken down into four speciﬁc areas: operational or in-ﬂight safety, corporate or infrastructure security, occupational safety and emergency response. As with in other company areas, 2015 was the year in which corporate structures in the safety area were coordinated. LATAM progressed in the alignment and standardization of procedures for the entire airline group operations, which enabled the integration of information and the adoption of a more systemic approach to safety management. Using diverse tools and indicators, the airline group oversees ﬂeet behavior and aircrew compliance with procedures aimed at minimizing risks in ﬂight operations. Worthy of note in 2015 was the consolidation of a centralized information analysis system for all company ﬂights, collected individually by automated systems on each aircraft. In addition to measuring performance, the indicators are used to drive improvement measures. Based on the analysis of these indicators, targets are established and reviewed periodically using as a yardstick the best results from the previous period. The analysis of operational performance, in place since 2013, also takes into account human factors impacting safety, with action plans incorporating factors linked with team behavior. This work encompasses crew members, as well as the airport and maintenance teams, who work together to identify risks and share best practices. Work on monitoring and continuous improvement directly involves 130 company executives. Operational managers in the holding company and safety managers from speciﬁc areas meet on a monthly basis to analyze the evolution of the indicators and discuss solutions for the problems and risks identiﬁed. Furthermore, there are discussion forums dedicated to questions inherent to human factors, cargo transportation and airport operations. In line with the principle of standardization adopted by LATAM, operational security processes implanted by LATAM in 150 airports were redeﬁned based on a single standard and are aligned with local operating standards.  Currently the main focuses in infrastructure security are drugs and passengers with either no valid documents (out of date or counterfeit) or ones that are inadmissible (prohibited at the destination). This area underwent standardization in 2015, with the deﬁnition and approval in coordination with the corporate level of monitoring procedures and indicators to be applied throughout the group. The work was led by the Occupational Safety Center of Excellence and involved safety leaders in the diverse countries in which LATAM operates, who provided information, discussed best practices and sought solutions for common challenges. This joint effort also enabled the deﬁnition of the company’s operational safety management strategy and macro objectives for the three following years. The idea is to reinforce a culture of proactive risk prevention. Throughout the operation, teams were focused on improving risk exposure diagnoses and applying the information obtained in corrective plans. LATAM also implanted its Action Plan Index to monitor the execution of actions plans. In parallel, a series of measures to engage employees, in particular leaders, was developed. These measures resulted in an average 41% reduction in the airline group’s injury rate. In some units, the decrease reached 54% (see box). *Injury cases/average number of employees x100. Aligned with the upgrading of the airline group’s approach to risk, a number of LATAM units have implanted measures to drive synergies and knowledge to enhance management in this area. In Chile, for example, the environmental and occupational safety teams joined forces to create a plan to boost the efﬁciency of internal audits and discussed joint actions to improve legal compliance and reduce indirect impacts. In Andes, the LATAM unit responsible for all ground support for ﬂight operations in Chile, the restructuring of occupational safety management helped reduce the injury rate by 54% compared with 2014. In addition to the direct gains in employee health and safety, this reduction also enabled productivity gains and savings for the company. With the reduction in claims, LATAM was able to negotiate better terms in the annual renewal of its insurance contract in 2015, with a US$ 1 million reduction in the premium for the next two years. This work was aligned with LATAM’s overall efforts to broaden its approach to risk management through the enhanced identiﬁcation of risks and opportunities, the improvement of monitoring mechanisms, as well as initiatives to drive employee awareness, engagement and co-responsibility. In addition to analyzing the most common incidents, mapping work place-related risk situations, equipment conditions, information levels, employee training and their behavior in risk situations, the company also sought to identify the correlation between individual attitudes and organizational culture. Employees were invited to participate in a survey based on an internationally approved methodology focused on aspects related to people management, engagement, internal climate and the degree of identiﬁcation with corporate practices. Around 80% of the work force participated in the survey, the results of which will be used to implement improvements. In 2015, LATAM consolidated its corporate emergency response plan, which incorporated the best practices developed in the diverse group companies.  Overseen by the Emergency Committee, which reports directly to the CEO, the plan mobilizes 5 thousand people organized in 11 local committees and is based on three directives: caring for passengers and family members; supporting authorities in investigation processes; and keeping the media informed. Some 4,000 volunteer employees are also prepared to provide humanitarian aid. Groups of employees are trained especially to provide support in aviation incidents, focused on meeting the immediate needs of passengers and their families and the provision of psychological support. The plan also incorporates measures to ensure the continuity of company activities and the provision of information to the media and authorities. In 2015, all executives and the 300 emergency monitors who work at the airports received training. Help to converse the continent’s environment and reinforcing its cultural heritage of Latin America. By fostering sustainable tourism, undertaking private social investment in local development projects, providing free cargo transportation or offering special terms for humanitarian and environmental protection initiatives, LATAM reinforces its links with society and helps to promote autonomy9. Air transportation is a key driver for global development and the world economy, enabling more efﬁcient transportation of people and goods around the globe. The industry10 generates over 8.7 million 2 direct jobs and another 49.3 million indirect ones globally, as well as driving other sectors. The global economic impact is some US$ 2.4 trillion, representing 3.5% of global Gross Domestic Product. Around 35% of world trade – in value – involves air transportation. The share is even greater in the tourist industry, with 52% of holiday makers traveling by air. According to the World Travel & Tourism Council (WTTC), the sector accounted for 284 million jobs in 2015, generating around US$ 7.8 trillion for the global economy, an increase of 3% compared with 2014. As the leader in the region, LATAM contributed towards leveraging the sector’s results. In 2015, the company transported more than 4.8 million passengers from diverse regions of the world to the main destinations in South America, with an impact estimated at US$ 4.7 billion. This total includes the average amount spent per tourist as informed by tourism organizations in the region11 , including airport charges and spending on accommodation, meals, transfers, excursions and shopping. 9Obs. : in addition to the initiatives aimed at external stakeholders described in this chapter, the concept of corporate citizenship, which represents one of the dimensions of LATAM’s sustainability strategy, also encompasses the work force, driving measures to promote employee quality of life. This aspect is addressed in greater detail in the chapter People in this report. 10Source: Aviation: benefits beyond borders, Air Transportation Action Group (ATAG), published in April 2014. Obs. : the data refer to 2012 and comprehend commercial aircraft operators, airports, air navigation service providers and aircraft and aircraft component manufacturers. 11 Based on information provided by Sernatur (Chile), Mincetur (Peru), Indec (Argentina), Ministries of Tourism (Brazil and Ecuador), the World Bank and Procolombia. and was attended by some 700 professionals from 55 countries. In addition to promoting discussions on sector trends and opportunities, the event enables the tourism operators to discover new destinations in the host country, as well as develop closer relations and identify partnership opportunities in the local market. To leverage the positive effects its operation generates for tourism in South America, LATAM engages a series of local actors in initiatives that combine economic development, environmental consciousness and the preservation of cultural heritage. In the Cuido mi Destino program, created in 2009, LATAM coordinates the work done by employee volunteers, students and authorities in repairing and refurbishing tourist spaces in determined cities, settlements or regions. The places selected are submitted to three interventions, which are defined in conjunction with the local community, over a three-year period. The goal is to promote the development of sustainable tourism. The program also has a direct positive impact on the economy and commerce in these areas. In 2015, the group invested US$ 195,500 in these measures. Since 2009, spending has totaled US$ 1.6 million. In Chile, 40 young volunteers worked together on building a space in which artisans from the city of Neltume could produce their work and receive the hundreds of tourists that visit the town every year. US$ 29,300 was invested in the project, which took three months to execute. The intervention has helped empower the women involved and develop their small businesses, which now represent an important source of income for families in Neltume. In Puerto Natales, also in Chile, the access was remodeled and Community Participation Workshops were set up to boost tourism in the region. US$ 25,000 was invested in the city, one of the most important tourist destinations in the country. After the airport has been modernized, LAN should begin to operate a direct flight to the city from Santiago. In Peru, the measures were aimed at valuing public spaces and organizing workshops to promote consciousness of the importance of the environment and tourism. Between 2010 and 2015, US$ 81,000 was invested in remodeling work on the Mirador de Acuchimay belvedere in Ayacucho and in Pantanos de Villa, an area in Lima that shelters more than 200 species of birds. The local was visited by 34,000 tourists in 2015. The work was carried out by 163 people, including LAN employees, students and teachers. In Brazil, 16 volunteer employees gave fours days of workshops on sustainable tourism as part of the commemoration of the 450th anniversary of the state of Rio de Janeiro. Some 100 young people from three NGOs that work in local communities took part in the workshops. The end of the event was marked by music, capoeira, theater and dance performances, as well as graffiti in the city of Rio de Janeiro. R$ 114,600 was invested in the project. In Colombia, the Cuido mi destino program was implanted in San Andrés. Additionally, the 2013-2015 cycle of interventions in Girón, Santander, was concluded, with the participation of more than 100 students, 70 members of the tourism business chain (such as hotels, travel agencies and tourism operators), 15 suppliers and 60 LATAM volunteers and employees. Female artisans in Neltume, Chile, are learning to take their first steps in the digital world. Through a partnership between LAN and the foundation Chilenter, the women received a donation comprising a room equipped with ten computers for digital literacy courses. In the classes, the women learn the basics of computing, including how to communicate by email and how to publicize their products on the social networks. In addition to developing their small businesses, this helps them attract customers from areas other than where they live. The courses were held in October and November 2015 and should continue in the first quarter of 2016. A total of US$ 700 was invested in the project. Large companies have complex structures characterized by numerous simultaneous processes with established goals and targets, Frequently, the pressures of the day to day tasks limit a team’s capacity to rethink the work it does and incorporate new approaches. To avoid this, LATAM created the Espacio LAB (Lab Space), which stimulates reflection on the dynamics of company routines and the pursuit of creative solutions that add value for the company and for its strategic stakeholders. The Espacio Lab brings together employees from different company areas with the common goal of establishing a new meaning for the client experience based on the values and attributes associated with the LATAM brand, such as innovation, its ties with Latin America and the delivery of a differentiated experience. The methodology employed encompasses the study of scenarios and trends and the integration of different viewpoints in a joint construction. External stakeholders – such as clients, opinion formers and specialists – and the different company areas – including crew members, catering and operations teams – were invited to participate. One of the items the team focused on in 2015 was in-flight meals, which were analyzed employing a multifaceted approach, incorporating the cultural value of Latin American gastronomy and the care that goes into planning and preparing food for passengers. The wealth of Latin America, which encompasses landscapes as diverse as the Caribbean, Patagonia, the Argentinean Pampas, the Brazilian Northeast and the Amazon, the importance of the origin and identity of the food and the connection between gastronomy, cultural heritage and tourism were some of the aspects considered. This study drove the refinement of the basic concept of in-flight meals and communication with the client. The plan for 2016 is to increment the menu with a product-focused cuisine. The company is considering including typical seasonal Latin American ingredients such as potatoes from Chiloé, cocoa from Peru, salmon from Patagonia. Apart from experiencing new flavors, passengers will learn some of the history of the region and curious details that make up its heritage. bruja: dark in color, normally eaten as a salad. Free of charge, the company transports post-consumer cardboard and plastic waste which is collected by the local government and prepared for recycling. The island is one of the most isolated places in the world, located in the Pacific Ocean 3,700 kilometers off the South American coast.  LAN maintains strong links with the island. It is the only airline serving this destination, which was included in its network in 1967. The transportation of waste is aligned with LATAM’s commitment to help preserve vulnerable ecosystems in the destinations it operates. In 2015, 302.6 metric tons of waste were transported. The material is sold to recycling operators, and the funds generated by the operation are invested in environmental initiatives undertaken by the island’s local government. In Brazil, an agreement with the environmental agency Ibama (Instituto Brasileiro do Meio Ambiente e dos Recursos Naturais Renováveis) ensured the return of 70 wild animals – toucans, macaws and one jaguar – to their natural habitats in 2015. This work has been in place since 2009. In Chile, agreements were established with the Mundo Mar Foundation and the National Fisheries Service to transport marine animals rescued on the Chilean coast to recovery shelters. Seven animals were transported in 2015. In 2015, LATAM joined the commitment proposed by the oneworld alliance to ban the transportation of the “big five” hunting trophies: elephant, rhinoceros, lion, leopard and Cape buffalo. The Avião Solidário (Humanitarian Airplane) program in Chile provides support in social initiatives and natural catastrophes and emergencies in partnership with governments and civil society organizations. In 2015, the aircraft transported more than 120t of foodstuffs and medicines for those left homeless by the rains in Northern Chile, in a coordinated action with the Fundación Desafío Levantamos Chile. During the crisis between Colombia and Venezuela, the aircraft carried humanitarian aid from Bogota to the border region. In Argentina, it provided support for the work done by the Banco de Alimentos (Food Bank), transporting 17t of food. In Peru, LAN provides transportation for cargo during national emergencies, as well as for donations that are in accordance with the company’s procedures manual. In 2015, some 1,500 blankets were delivered to needy families in its areas of influence. 59 laptops and 842 kits of school materials were donated to the Colégio de Ciudad de Papel and the Machu Pichu local government, benefiting 380 people. The communities of Chosica and Villa el Salvador received 13t of clothes and food. Similarly, 708 computer components and used telephones weighing 1.5 t were transported for the Ciudad de Papel electronic equipment recycling program. This work has had a positive impact on the LATAM work force, as evidenced by an internal survey conducted in 2015, showing that 97% of the employees approve the company’s humanitarian aid measures. During the year, 820 volunteers took part in the programmed activities, exceeding the target established for the period by 40%. In Brazil, a number of clothing and food donation campaigns were conducted as part of the 2015 Social Action program, which raised more than 900 kg of goods. When the state of Acre suffered one of the biggest floods in its history, some 1,800 cleaning products were donated, and employees who work in the city of São Paulo were transported to the region to assist in volunteer work. Almost 170 kg of food were collected after floods in the states of Santa Catarina and Rio Grande do Sul, while employee volunteers provided humanitarian support. In Brazil, a cooperation agreement with the Ministry of Health enables the free air transportation of organs, tissue and the medical teams involved in transplant operations nationwide. The agreement has been in place since 2013 and, in addition to the airport authority Infraero (Empresa Brasileira de Infraestrutura Aeroportuária), involves other airlines in the country. In 2015, TAM made the second largest contribution to organ transport among the airlines in Brazil, carrying 1,500 items, including organs, tissue and medical teams. To promote culture, LAN Cargo established a new partnership with the CorpArtes Foundation, a Chilean organization dedicated to broadening access to culture, with a strong emphasis on education, providing high quality artistic experiences to boost cultural capital. In Colombia, the company supported initiatives by the Habitat Sur Foundation, transporting mobile libraries in the Amazon region, and the RE Foundation, transporting musical instruments. In 2015, LATAM donated 575 tickets. In addition to the three organizations with which the company has ongoing agreements – Fundación Techo, América Solidaria and Coaniquem – requests were also granted from the organization María Ayuda. The project has been in place since 2006. This support is aimed at facilitating transportation for people who work in these institutions, so that they may expand their field of action. In Colombia, the air ticket donation program benefited the Operación Sonrisa Colombia Foundation, which provides assistance for children with cleft lip and palate in diverse regions of the country. Around 300 tickets were used to transport doctors, patients and family members, enabling corrective surgery for 388 children and assessment for a further 750. In Peru, the company offers free air transport for low-income individuals requiring emergency medical treatment outside the area in which they live. In 2015, a total of 683 people received free tickets, encompassing both humanitarian aid and partnerships with institutions. In Brazil, the company donated 516 air tickets to people requiring medical treatment away from their homes. Through a partnership with the NGO Make-A-Wish, the company also donated tickets to enable children with serious illnesses to make their dream of visiting a particular place in the world come true. In 2015, the company intensified this partnership, launching a volunteer program for employees interested in participating in the initiative. They formed different groups to work on making the children’s dreams come true. A total of 200 employees helped make the dreams of 40 children come true in TAM’s biggest ever engagement with an ONG. More than 100 domestic and international air tickets were donated in this initiative. TAM Linhas Aéreas grants free domestic and international air tickets to almost 30 institutions engaged in sustainable social development activities all over Brazil. These tickets contribute to the realization of a series of projects aimed at income generation, environmental conservation, humanitarian aid, health, education and sustainable tourism. In 2015, 28 institutions received a total of 1,689 air tickets, a 38% increase over the previous year. In Ecuador, the Toqué el Cielo con LAN program enables low-income children to have the opportunity to travel by air. The program is part of an agreement with diverse institutions. The organization Plan Internacional conducts a means test to select the beneficiaries of the program. In Chile, every year the company participates in the Teletón, a major charity event broadcast on television and aimed at raising funds for rehabilitation centers for children and young people with motor skill disorders. The Teletón is a private non-profit institution which brings companies, artists, communication media and the governments together to raise donations. The event is held in most Latin American countries. In 2015, LATAM donated US$ 420,700 during the event. Declaring Safety an Uncompromising Value of our company, fostering in our people a culture of self-care, developing prevention-oriented processes, identifying hazards, and assessing and mitigating the risks associated with the various operating and administrative activities that are inherent to the company’s operations. Complying with all applicable laws and regulations while also observing the internal procedures established by the company and the voluntary commitments to which it is a signatory. Giving due importance to the reports of unsafe actions and conditions, ensuring no sanctions are imposed on those who file such reports, given the understanding that errors are inherent to the human condition, while not condoning attitudes involving operational negligence or deliberate violations of the company’s operating standards or processes. Developing a Safety, Quality and Environmental Management System that enables the periodic review of targets, goals and allocated resources, while implementing best environmental practices that enable us to prevent any form of contamination and to efficiently manage our carbon footprint. In our company, we adopt the principles of ethics, excellence and continuous improvement in all management processes with the aim of advancing towards our goal of being the best airline in Latin America and one of the best in the world, while reinforcing our commitment to create value for our clients, shareholders, suppliers, authorities, employees and local communities. The LATAM Group is committed to protecting the environment, health and safety and will endeavor to promote a safe and healthy environment, preventing unfavorable and harmful impacts on the environment in the communities in which it operates. a. Comply with environmental laws and regulations. b. Create and maintain a safe work environment and prevent occupational accidents and diseases. c. Reduce waste, emissions and the use of toxic materials, according to internal procedures. Never improvise in the disposal of industrial residues and waste. d. Respect the rights and environmental interests of neighboring countries and communities. e. Make efficient use offi the natural resources available in the workplace, recycle whenever possible and promote innovative practices that enable greater economic efficiency through ecological efficiency. f. Act in a socially responsible manner, respecting the customs and traditions of the people with whom the company interacts and contribute toward the sustainable development of the communities in which it operates, particularly in relation to tourist activities. g. Propose improvements that ensure the work place is always safe and healthy, notifying immediate superiors in the event of irregularities or noncompliance with laws and adjusting irregular conduct rapidly. h. Always act in accordance with the stipulated rules. Under no circumstances should safety practices be ignored or disobeyed. i. Know the location of the emergency exits and firefighting equipment in the work place. Obs: the complete document may be consulted here. SGS Societé Générale de Surveillance SA was commissioned by IATA to conduct an independent and formal review of the “IATA Environmental Assessment Standards Manual (IESM) version 2.0 february 2015” against ISO 14001:2004. The verification assessment was executed as a desk top study and did not include a review of any system implementation. The IESM version 2.0 included a set of requirements as well as guidance for their implementation. On the basis of the verification work performed, the IESM requirements together with their guidance information are consistent with ISO 14001:2004 requirements.  The following table shows the 21 key indicators LATAM uses to measure its progress against internal environmental management goals and targets. * The calculation for electricity takes into account the type of consumption and the percentage share of each country in the overall operation, measured in RTK. UK Department for Environment, food & Rural Affairs (UKDEfRA) Guidelines on GHG conversion factors. 1All work contracts are permanent and presuppose full-time employment. 1Considering all employees in accordance with GRI methodology. 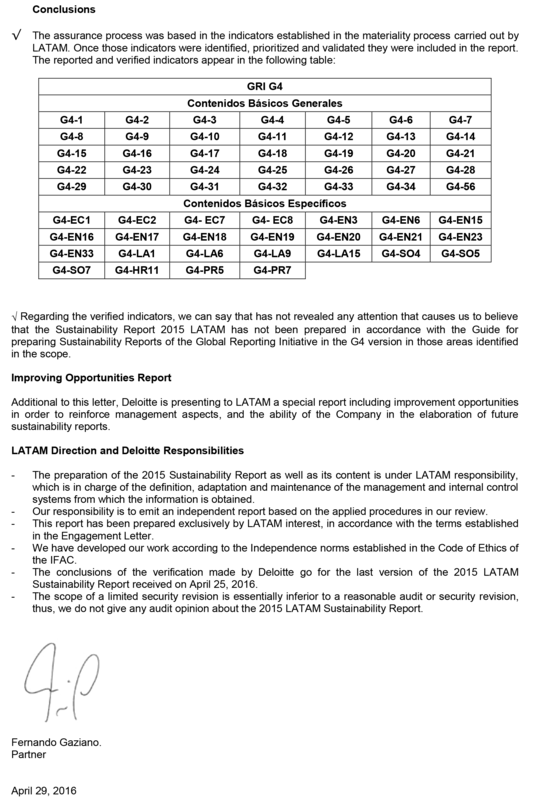 Internally the indicator for performance appraisal coverage in LATAM is based on the universe of employees eligible for appraisal during the period, which excludes temporary contracts, special cases (such as union representatives), employees on leave for more than 180 days and flight crew members, whose appraisal calendar extends to the first quarter of the year following the period assessed. Based on this calculation, total coverage in 2015 was 95%. The LATAM 2015 Sustainability Report presents the most important information about the economic, social and ﬁnancial performance of the companies in the LATAM Airlines Group during the period from January 1st to December 31st, 2015. The publication was prepared based on the Global Reporting Initiative (GRI) G4 guidelines, the main global reference for communicating sustainability. It fulﬁlls the requirements for the application of the Core option of the methodology, as attested in the independent veriﬁcation conducted by Deloitte. The report content was determined based on the GRI methodology principles – balance, completeness, materiality and stakeholder inclusiveness – and reﬂects LATAM’s management of the most relevant topics for its sustainability strategy. These topics are revised annually to guarantee alignment with the expectations and needs of the company’s stakeholders and to ensure closer focus in its action plans and communication strategies. the company’s external commitments, such as the Carbon Neutral Growth 2020 initiative organized by the International Air Transport Association (IATA). In line with the recommendations in the GRI-G4 guidelines, senior management analyzed the topics which could potentially impact LATAM and its stakeholder groups, as well as the company’s capacity to inﬂuence each topic. At the end of the process, the interrelationships between the topics deﬁned as priorities were analyzed and strategies devised to group them together or separate them in order to ensure even greater clarity and accuracy in the processes of monitoring and communicating the results. value chain: to adopt speciﬁc parameters for ethics, sustainability and eco-efﬁciency in managing suppliers. Each material topic has one or more indicators (see table) through which the company monitors its progress against goals and targets. All are directly or indirectly related to the macro objectives of the business and are backed by deﬁned strategies and people responsible for their execution. The company’s performance impacts the variable remuneration of leaders, who manage results via a matrix structure. Safety performance, for example, and more specifically the non-occurrence of any accidents, is the trigger for the payment or not of a bonus each year. A second stage of the calculation takes into account performance against corporate targets, which directly affects the Executive Committee’s variable remuneration and impacts the variable component of remuneration for all employees. Worthy of note among the targets monitored are aspects related to the material themes in managing sustainability, such as customer satisfaction, linked with the topic of connectivity, and talent management and controlling staff turnover, which are part of the Organizational Health Index (OHI). The topic of economic-financial sustainability also comes into this stage of the calculation and is monitored via company income and cost efficiency indicators. The third stage of the calculation takes into account specific topics and indicators for each area. Among the company’s top 19 executives, 15 have targets linked with customer satisfaction, 8 answer for safety-related topics, six have targets linked with the OHI and 5 have targets related to environmental performance. Information on the management of the material topics and the results achieved is presented in the 2015 LATAM Sustainability Report, the purpose of which is to hold the company accountable to its different stakeholder groups in relation to its commitment to integrating the economic, social and environmental dimensions of the business, striving for balance in the goals of driving economic growth, managing environmental impacts and generating social progress in the communities in which the organization operates. 1 GRI indicator through which LATAM monitors performance in each material topic. In addition to these priority topics, the report also presents other GRI indicators relevant for managing the company. 2 Chapter in which the topic is covered in this report. 3 Although it is not directly related to any GRI aspect, the topic was covered in the report with information gathered on how it is managed at LATAM, as well as the company’s goals and targets and the results achieved. G4-13 Signiﬁcant changes in the organization’s size, structure, ownership, and supplier chain There were no signiﬁcant changes. EN33 Suppliers identiﬁed as having signiﬁcant actual and potential negative environmental impacts In accordance to risk analysis undertaken by LATAM, of the 21 technical and non-technical purchase categories in the supply chain, 7 involve value chains in which there is a risk of potential negative environmental impacts from improper waste management. To reduce such risks, the company demands compliance with speciﬁc contract clauses and conducts periodic audits. For further information, see SUPPLIERS. DMA* : Disclosure on management approach. There were no omissions in GRI required information.